Starting with weddings: When I moved to Charleston in 2003, I started shooting weddings, but I’ve never been that person who says, “I love love.” For me it was always more artistic. New direction: The shift from freelance to fine art started with a 365-day project I did photographing my son in 2013, which stretched my creativity. Around that time, I saw some underwater images that drew me in, so I started with a GoPro. Underwater work: The magic is that it’s a creative challenge, and I never really know what I’m going to get. But when I started, I had no one to please but myself. After shooting weddings for 15 years, that was very freeing. Globe-trotting: Growing up, my family visited the 48 continental states, so travel has always been a thing for me. I booked my last trip to Thailand on a whim and reached out to brands I’d worked with before, offering to take their products with me to shoot. I’d love to use underwater photography to do an around-the-world series. Why the words: I like the art of combining words and photos. 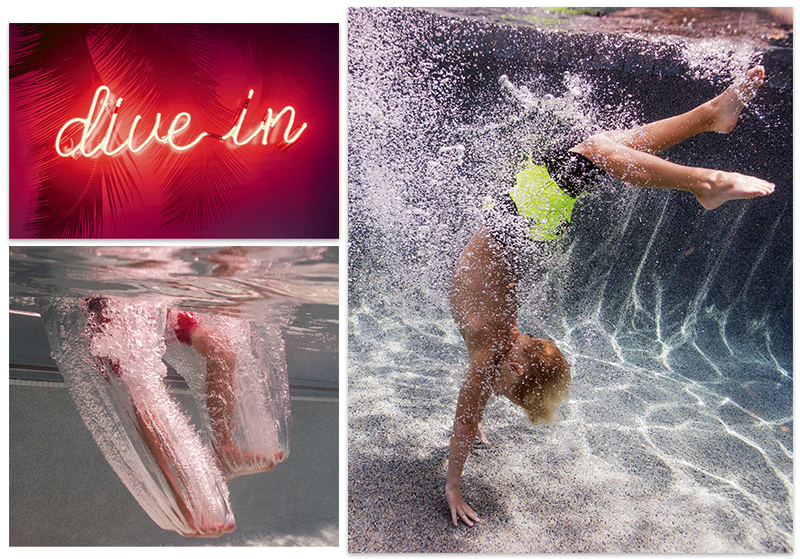 The neon spells out water-themed mantras meant to fuel you. When I started these pieces, I was silkscreening the words on, but I found myself saving every photo of neon I saw on Instagram. I was drawn to the way it lights up a room and makes it glow with color. Bucket list: I’ve been shooting the Spoleto Festival for years. There isn’t a ton of visual art at the event, but I loved the projections of people dancing in slow motion in Marion Square last year. Someday I would love to do something big like that.